Exquisite red/black self with light yellow throat. 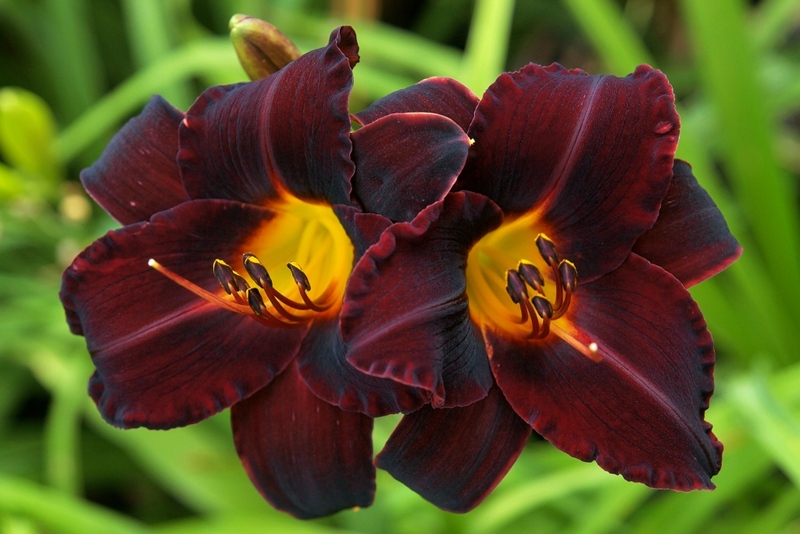 Excellent multiplier, very winter hardy, choice cultivar for lovers of dark intensely coloured bloom. Clumps quickly and provides gorgeoous weeks of large red/black bloom.